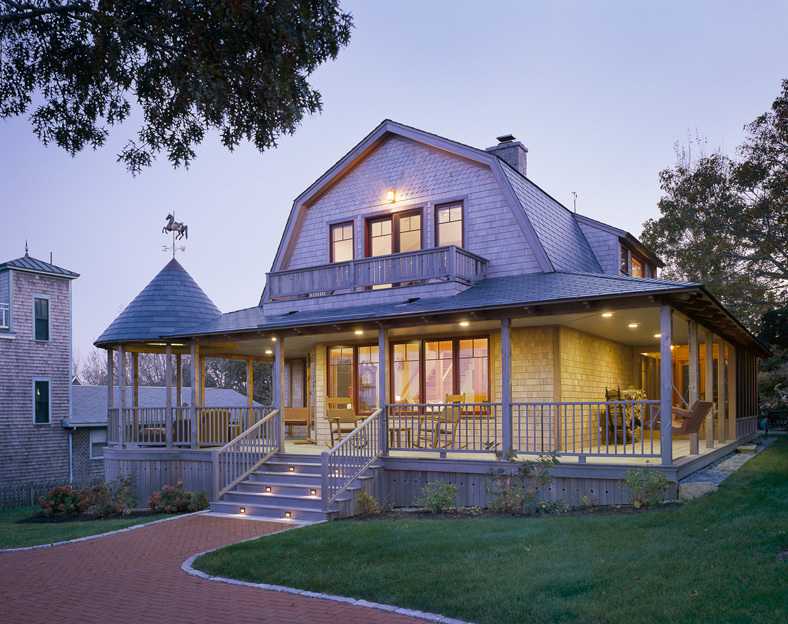 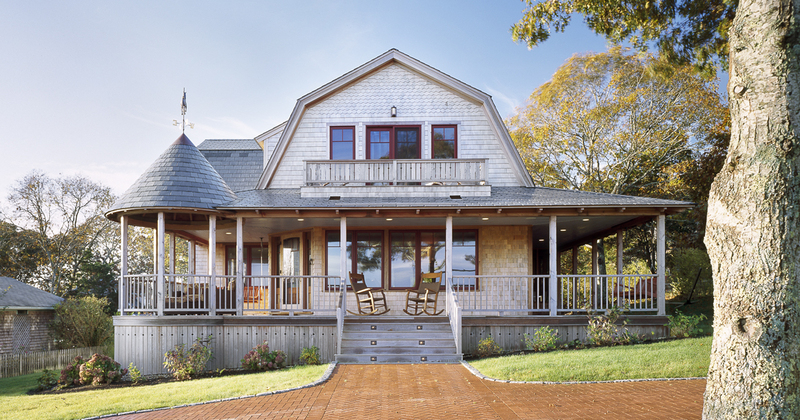 The gracious wrap-around porch and historically-inspired forms tie this house to its in-town Oak Bluffs site. 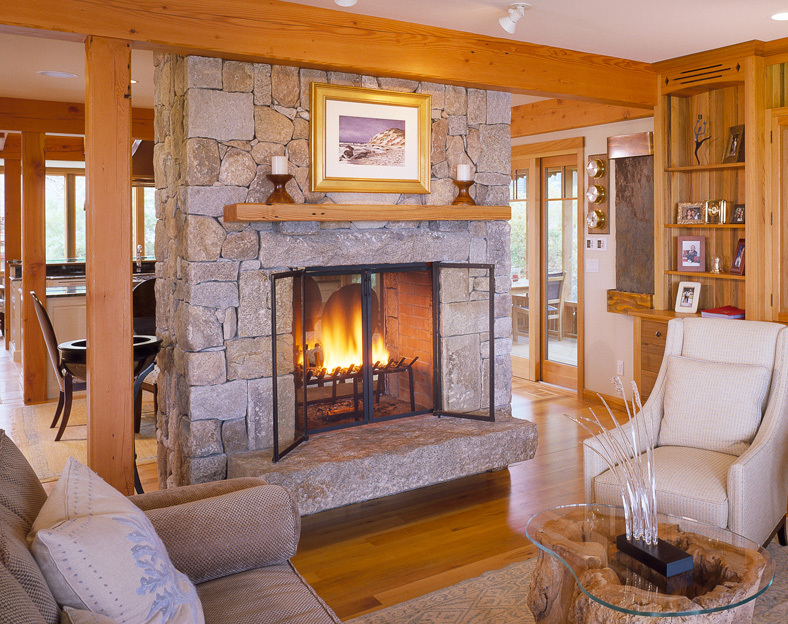 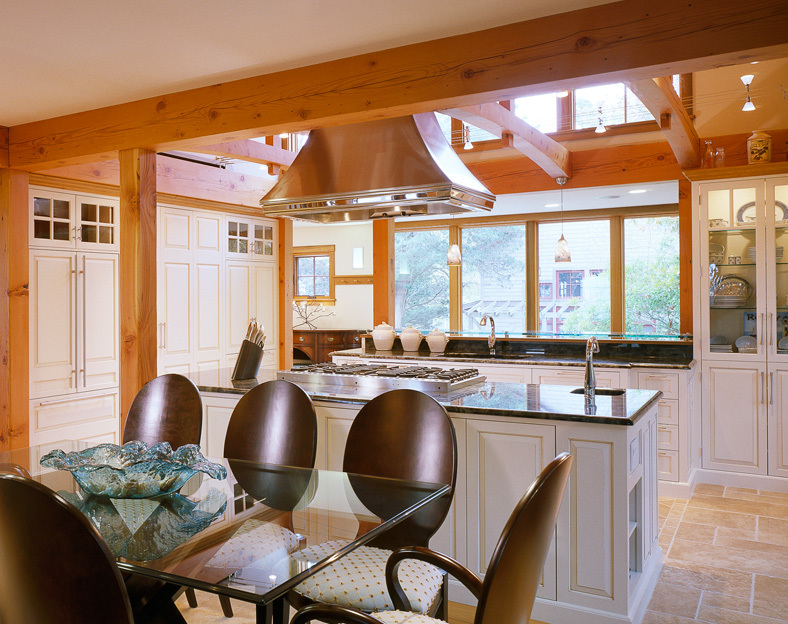 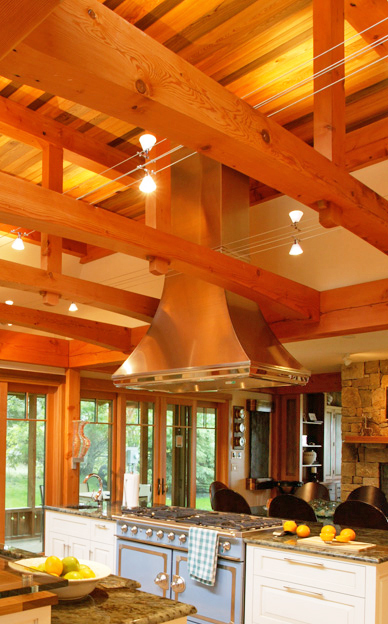 The ladder trusses, cabinetry, and timber frame were fashioned in the SMCo woodworking shop from reclaimed materials. 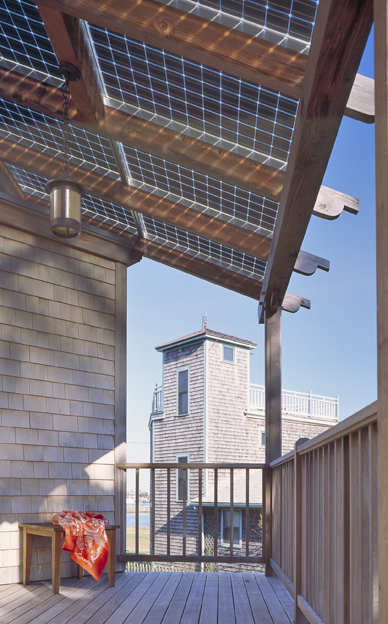 A custom pergola integrates a solar electric system.